This is a simplest Qt Xlsx example. 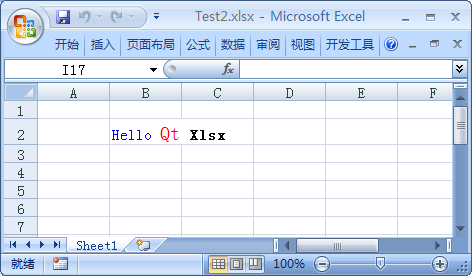 This example demonstrates how to create a new .xlsx file containing some basic data and calculations with Qt Xlsx Library. So lets see how this is achieved. © 2013-2014 Debao Zhang. Documentation contributions included herein are the copyrights of their respective owners. Documentation sources may be obtained from github.com/dbzhang800.